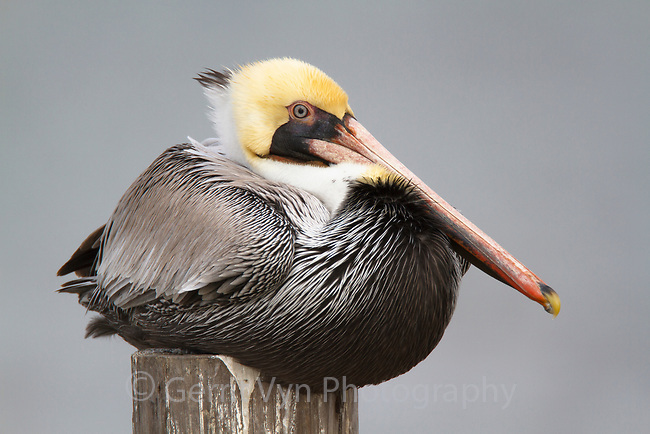 Adult Brown Pelican (Pelecanus occidentalis) in basic (winter) plumage roosting on a piling. Cameron Parrish, Louisiana. October.